I’ve had this chess set for several years and finally decided to paint it, not only with actual paint but also with light. If you would like to learn how to light paint, take one of our classes at Alexa Studios. We serve the Owego, Binghamton, Vestal, Elmira, Sayre area. For a light painting class you will need know the basics of photography and understand manual shooting. Purchase the advanced class and send an email to request light painting. Doc Holiday’s Good vs. 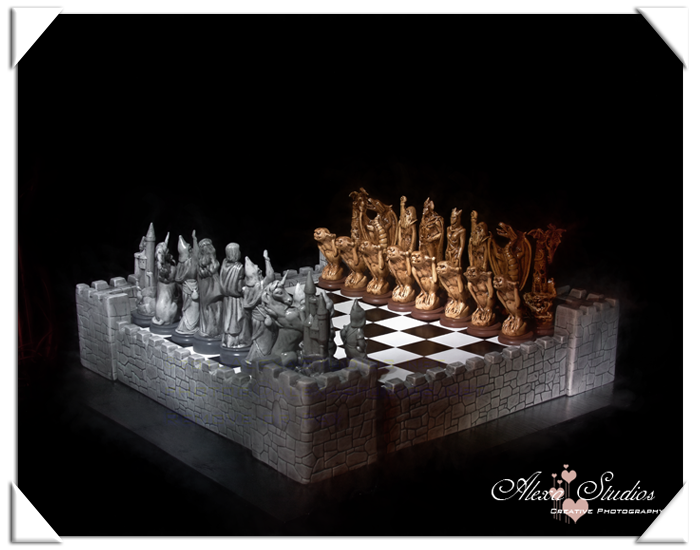 Evil Chess set, light painted.